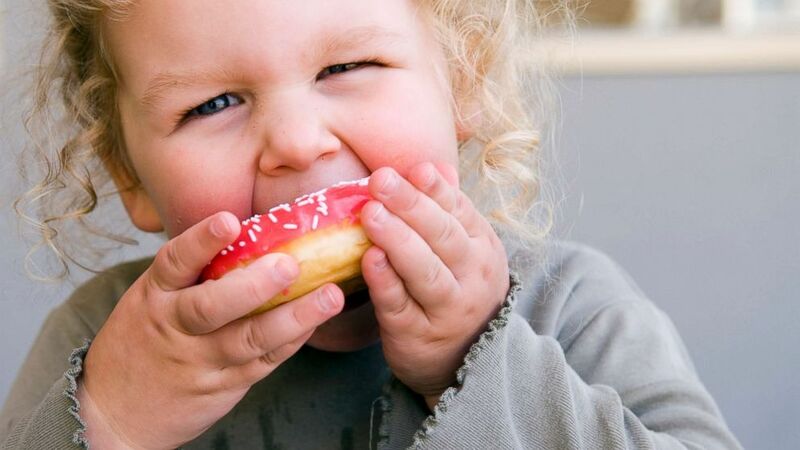 Toddlers in America are eating too much added sugar, and the problem only gets worse as they get older, a new study conducted by researchers at the Centers for Disease Control found. Extra sugar consumption has been linked to high levels of obesity, cavities, asthma, and risk factors for heart disease later in life. It’s also been associated with higher cholesterol levels and elevated blood pressure. Added sugar is especially bad for children, as it sets diet preferences that could lead them to make poor nutritional choices later in life. The American Heart Association already recommends that children under the age of 2 avoid food with added sugars, including ready-to-eat cereals, baked goods, desserts, sugary drinks, yogurt, and candy. But researchers at the CDC found that some parents don’t seem to be following those guidelines. “This is the first time we have looked at added sugar consumption among children less than 2 years old,” lead study author Kirsten Herrick, a nutritional epidemiologist from the CDC, told ABC News. The study, conducted in Maryland, asked the parents of 800 children aged 6 to 23 months what their child’s “added sugar” consumption was in a 24-hour period. Herrick and her team found that the amount of added sugar increased along with a child’s age. For the 6- to 11-month-olds, 61 percent of the sugar in their diet was added sugar. But by the time children reached between 1 and 2 years old, that amount was even higher: 98 to 99 percent of the sugar those children ate was added. And that added sugar added up: the oldest toddlers in the study, aged between 19 to 23 months, averaged about seven teaspoons of added sugar per day, more than the amount in a Kit Kat bar, the study found. The study is limited in some ways because sugar consumption was measured based on parent’s memory of what their child ate during a short period of time. In addition, the study has not been peer-reviewed. It was shared at a medical meeting. The research team also plans to examine the specific sources of added sugar young children are consuming in the future. But researchers have known for a long time that children should be getting their daily sugar from vegetables and fruits, not from added sugar, which contributes nothing but calories. An apple, for example, contains natural sugar as well as good fiber and nutrients. But high amounts of added sugar can be hidden in seemingly healthy food: a single-size serving of yogurt with fruit at the bottom can contain up to six teaspoons of sugar. In a regular 8 ounce serving of apple or orange juice, there are 5.5 teaspoons of sugar, on average. Dried fruits are also loaded with sugar — there are 21 teaspoons in one cup of dried fruit alone. Energy and protein bars can also contain a lot of sugar, and it’s also found in the condiments we add to foods: each tablespoon of ketchup contains one teaspoon of sugar. Although the U.S. government’s 2015-2020 Dietary Guidelines for Americans (DGA) states Americans over the age of 2 should consume less than 10 percent of their daily calories from added sugar, they do not yet include recommendations for children under 2. Parents can expect recommendations for young children to be in place for the 2020-2025 DGA guidelines, but for now, less added sugar should always be the goal.